“Happy Anniversary!” Trump wrote on Twitter with the hashtag #ProudDeplorable, sharing video of Clinton’s campaign blooper together with his promise to stand with his supporters. 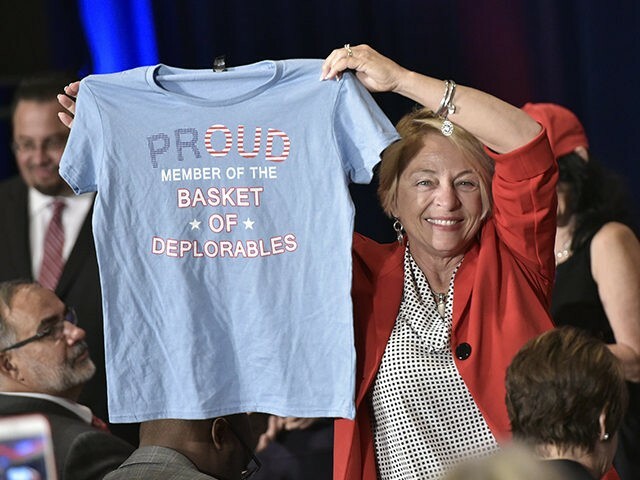 At the time, Trump’s supporters celebrated the term, proudly wearing it as a badge of honor as Trump criticized Clinton for writing off the “forgotten men and women” in the United States. Trump recalled Clinton’s embarrassing moment just days after former President Barack Obama accused the entire Republican party of using racist fear and division to win elections instead of policy ideas.